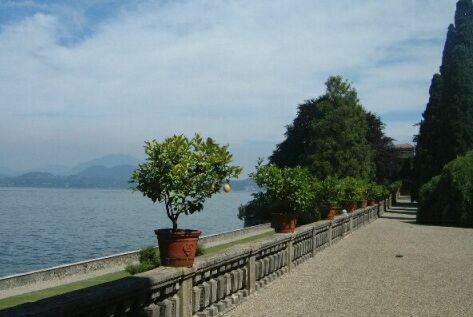 Lake Maggiore is shared by two Italian regions. 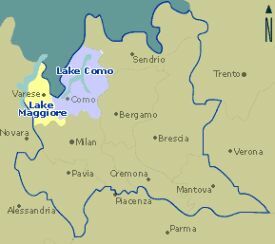 While the eastern shores nestle in Lombardia, the western side of the Lake marks the north eastern corner of Piemonte and even the border with Switzerland Lake Maggiore is the second largest among Italian lakes after Lake Garda. Its coastline is 166 Km. long. As seen on this map Milan is nearby. 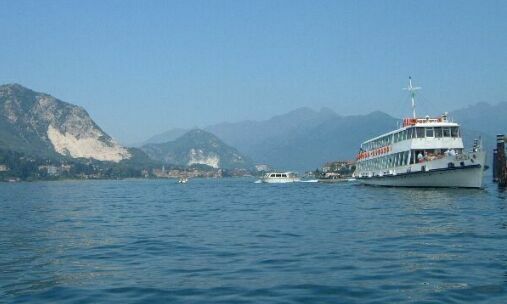 We rented a small boat to tour one of the Island "Isola Bella". 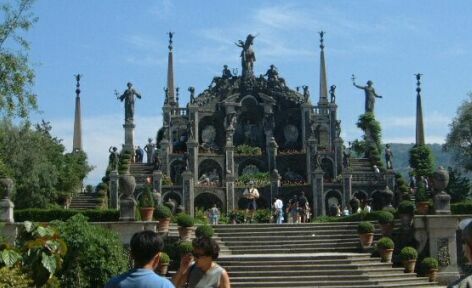 Isola Bella is a small rocky island on Lake Maggiore owned by the Borremeo family. 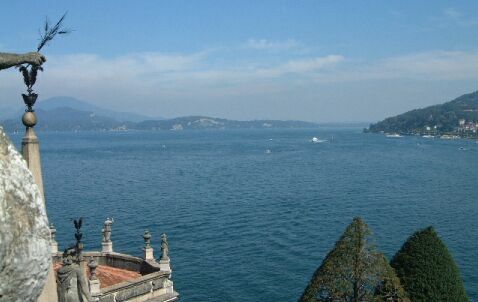 Local legend relates that the ladies of Borromeo’s household asked the Count Borremeo to build on the island so that they would not have to listen to prisoners screaming in the dungeons of his mainland castle. 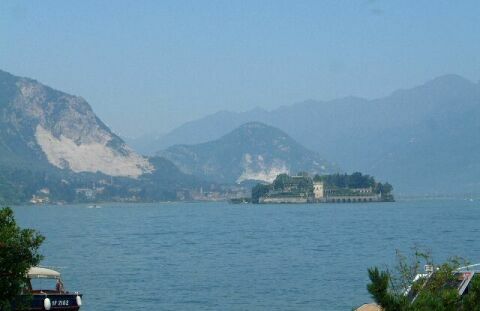 View of Isola Bella from the shore. In 1632, this small island in the middle of the southern gulf was a naked rock, residual of stone modeled by the glaciers. 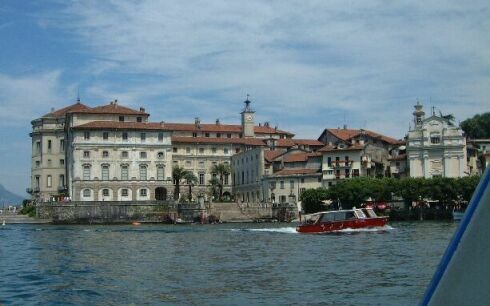 The count Carlo III Borromeo started then the construction of the island of a palace to dedicate to his wife Isabella D'Adda. 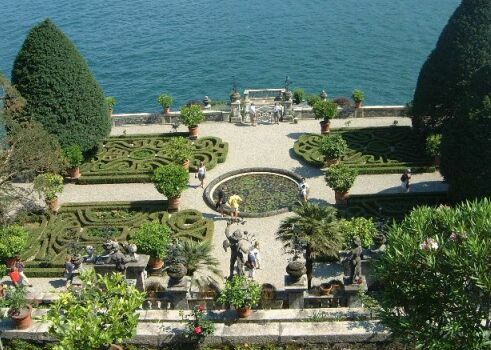 In 1670 Count Vitaliano Borromeo started construction of the monumental baroque palace and garden in honor of his wife "Isabella". The Borromeo residence contains priceless masterpieces such as tapestries, furniture, and paintings by great masters. 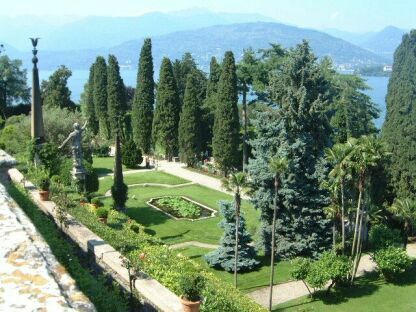 View of the majestic landscape of the garden for which the Island became so famous. The stepped terraces is an interpretation of the Hanging Gardens of Babylon (one of the seven wonders of the world). Another view of one of the many beautifully landscaped gardens. Great view from one side of the garden. Amazing view of the coast line from the Castle. 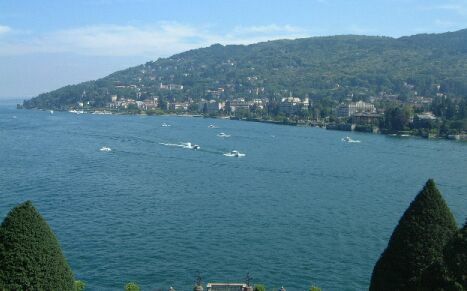 Another view from the top of the Castle of Lake Maggiore. 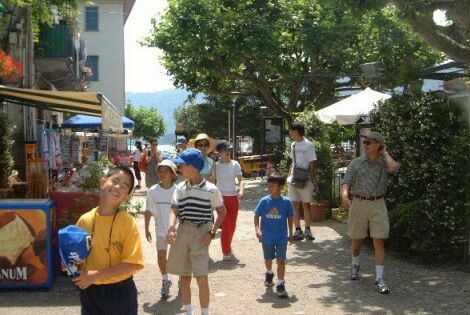 Next, we return to Milan and stayed with some friend for the evening. The next day we hopped on the bullet train and headed back to Paris for a few days to catch up and rest before returning to the U.S.